(CR) SOS Civil Radio! – English site – Save Civil Radio, the free voice of civil society in Hungary! Click this button!Yes! I want to send money! Now you can help by donating money to Civil Radio. Any amount helps! Civil Radio is run by volunteers, so we will use your donations specifically for the current and future operation of our radio broadcasting. Click this button!Yes! I want to tell others! If Civil Radio stops broadcasting, it will sadly be another example of the decline of independent media and civil control of society in Hungary. Hungarian citizens and the world need to know the problems we face in this country. Click this button!Yes! I can help! Of course, we do not stick to financial support only. If you know people or organisations who can help us in any other way, please let us know. Since our resources are limited, we rely on people like you for ideas. So please, throw us some ideas! Civil Radio is one of the last independent Hungarian community radio stations. Programmes at Civil Radio are made by nearly 150 volunteers and activists and are only supported by a small staff. Over the years, we have never been the favourite of the governments in power, but we were always able to secure our annual budget from various grants, tenders, and other independent funding sources. Political changes in the last few years have negatively affected Hungary’s media sector and the whole of Hungarian civil society. This has changed the operation of Civil Radio completely and made it nearly impossible to continue broadcasting. Most of the Hungarian independent community radio stations have disappeared in the last three years — and now Civil Radio is under threat to be the next. Do not let us be silenced! We are not asking for hundreds of thousands of Euros and Forints. We can continue broadcasting from 5% of an ordinary media service provider’s annual budget — therefore, every Euro and Forint counts, and every little bit of help is appreciated. Civil Radio is a genuine independent community radio and from the beginning it was not established to make a profit. We use our frequency as a tool to give voice to people and communities that serve the society but whose voice is not normally heard in the mainstream Hungarian mass media. 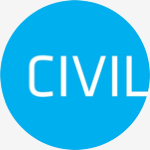 Civil Radio does not serve political parties and economic interest groups — our ‘owners’ are everyday people, civil communities, and NGOs who want to remain independent from political groups and political parties. Our programme makers are the same kind of people — among our editors and presenters there are retired people, high school students, journalists, engineers, social workers, mothers, bus drivers, bricklayers and more who, on-air, present their own world with their own words. Civil Radio is an open radio — anyone can come to our studios at anytime to see how we operate and anyone can join us and be part of our community. and give a chance for Civil Radio to speak out freely! Thank you, if you donate us money, if you talk about us or help us in any other way. If you have a question, please leave a message! Our radio is run by our foundation. The easiest way to transfer money from a debit or credit card is PayPal. Civil Radio is available on the frequency 98.0 MHz in Budapest, capital of Hungary. Take a look at the website of the radio (in Hungarian). This website is edited by Ákos Cserháti and Géza Bányay.